Brazil can be a somewhat maligned origin in the third wave coffee world. It’s unglamourous, for one thing, due mostly to its association with low grade, commodity coffee. And it’s also considered a bit, well, meh. Nondescript might be a better way of putting it - coffees from Brazil rarely pop with the same fruitiness as an Ethiopia Yirgacheffe, for example, or have the refinement of the most famous Panama farms. But Brazil is the world’s largest coffee producer, and with the rise in awareness of specialty coffee has come an increase in small farmers doing increasingly innovative things. Traditionally, most coffees from Brazil have been naturally processed - where the bean is dried inside the fruit, imparting earthy, chocolate and nutty tones to the brewed cup. This has always made it a popular inclusion in blends, especially espresso blends, where it acts as an anchor and adds depth and sweetness. Increasingly, however, some farmers are experimenting with alternative forms of processing in order to differentiate themselves from the big commodity producers. Fazenda Pantano, located on the Cerrado in the state of Minas Gerais, is one of these farms. The Cerrado, an enormous plateau in the centre of the country, is one of the most biologically diverse savannas in the world and, due to its altitude and well defined seasons, home to some of the most interesting coffee currently coming out of Brazil. As an aside, it’s worth reading this article from Falcon Coffee Importers about Fazenda Pantano’s owner, Wagner Ferrero. He is making concerted efforts to improve not only his coffee, but also the lives of the people who work for him as well as the surrounding environment. 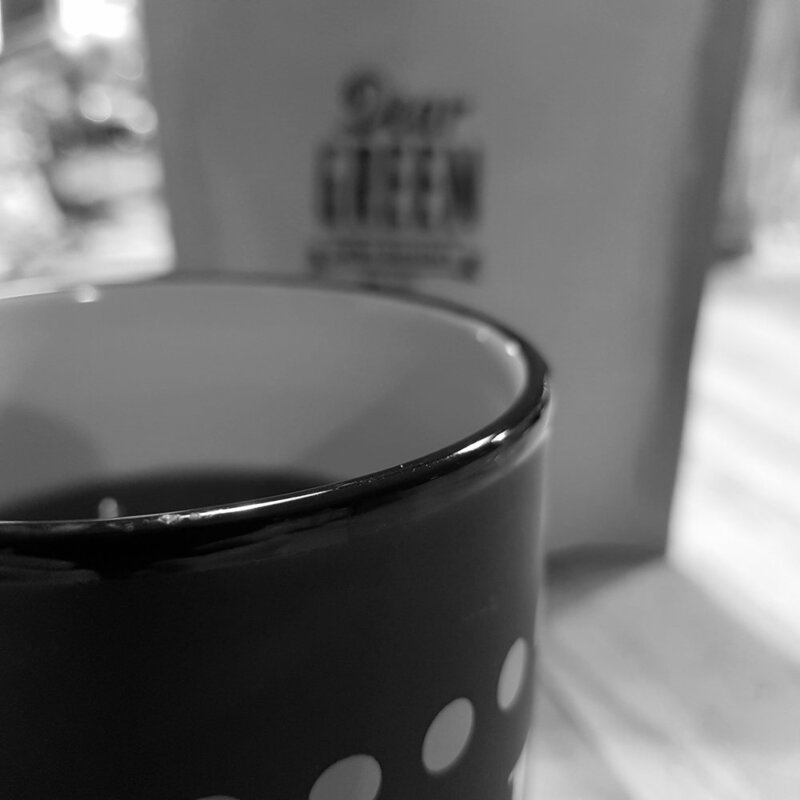 This is the second coffee from Dear Green that I’ve reviewed, thanks in part to the fact that I received it as a gift for Christmas (my family know me well). I wrote then of my admiration for this company, not only because they roast outstanding coffee, but also due to their sustained promotion of Scotland’s specialty coffee scene (furthermore, they're a Living Wage Foundation employer, which everyone who has worked in the service industry can get behind). So then, to the coffee. The Fazenda Pantano is processed using the pulp natural method, meaning that the bean is dried with the skin removed but most or all of the pulp left on. Supposedly, this method retains the sweetness and depth of a natural process, but offers more brightness than would typically be found in a naturally-processed coffee. This is, I’m happy to report, the outcome with Dear Green’s interpretation. The dry fragrance is lovely; It has that cocoa/hazelnut/digestive biscuit scent that is immediately identifiable as Brazilian, and also serves to make me immediately crave chocolate. In the cup the earthiness is definitely still evident, but it is kept in check and not allowed to overwhelm the ensemble. The sweetness and full, heavy body are the dominant characteristics, with a minor cranberry brightness gliding into focus as the coffee cools. It is a noticeably balanced cup, but elaborate enough to reward closer inspection. The subtleties evolve the longer they are examined, especially the finish which is maple syrup sweet and layered with texture. Nutmeg and springlike floral notes bring added complexity to what is an extremely drinkable coffee. Another positive: during the Christmas holidays, with family visiting, the Fazenda Pantano was enjoyed universally, across age groups and taste boundaries. No small feat in my family. Dear Green are, at least with me, two for two. Their Colombia Las Carmelitas was up there with the best coffees I’ve ever tasted; the Fazenda Pantano, while not quite at that level, is a worthy contender and certainly should be top of your list if you’re expecting guests any time soon.